← Who Knew Chains Were So Interesting? Alex and the middle stages of his first cycletruck. 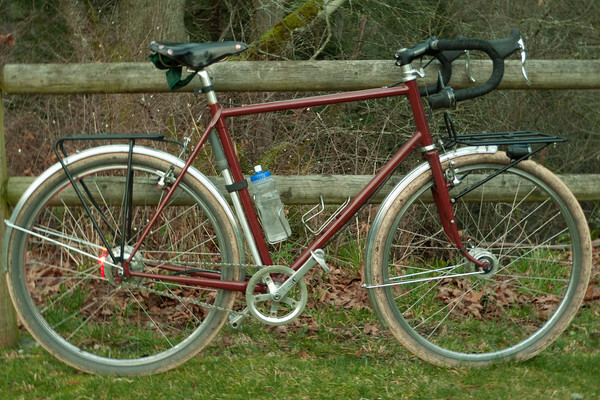 Photo from Duncan Cycles. Alex Wetmore is not a household name for most of the cycling world. But in certain circles–like the iBob and Framebuilders listservs and Bicycle Quarterly’s readership–Alex’s name rings out as a skilled framebuilder with impressively deep technical savvy. He’s documented his work as a hobbyist frame/fork/rack builder, his technical trials with the inner workings of bikes and components, his adventures with “rough stuff cycling,” and more on his blog and as a contributor to Bicycle Quarterly. Alex and I talked about his roots in cycling, his attraction to the technical sides of bikes, his love of remote rough-road riding, and more. Give me your brief history with bikes. Are you one of those people that got on a trike at age 3 and never stopped pedaling or are bikes a more recent phenomenon in your life? My father was into cycling when I was young (he bike commuted about 10 miles each way on a regular basis for a good chunk of my youth). I always loved bicycles starting with my first Schwinn when I was 6 or so. In high school I didn’t ride very much, but in college I spent my first paycheck on a 1991 Trek 820 mountain bike and started to ride that everywhere. I enjoyed working on that bike and spent some of my extra income upgrading it. By the time I graduated from college I was getting really into cycling and my first major purchase was a nice touring bike (a Trek 520). A few months later someone at work gave me an old Klein with a warning that most of the components were shot and that it took weird parts. I learned a lot by taking it all apart, then building it back up from scratch with new components. After finishing that one I just kept on working on bicycles, learning more about their history, and forming my own opinions on what worked well and what did not. In the past 15 years I’ve owned almost 50 bicycles. It seems safe to say that few cyclists possess the same level of in-depth technical knowledge as you. I don’t know many folks fluent in the physics of high-vs-low trail geometry, the inner workings of internally geared hubs, how to build a dynamo-powered light from scratch, etc. What attracts you to the technical side of bikes? I’ve always enjoyed understanding how things work and bicycles are one of my favorite machines because every aspect of them is out in the open. With $30 in tools you can take apart most bicycles down to the core components, see how everything functions, and put them back together. Used bicycles and components usually aren’t very expensive, which makes it affordable to buy many bicycles, experiment with them, and then sell them again when you are done (sometimes for a profit, rarely for a loss). Owning a lot of bikes helped me form strong opinions about many things (geometry, frame materials, tires, etc), but what really solidify some of those opinions were the blind tests that I was involved with through Bicycle Quarterly. I’ve really enjoyed the opportunities that I’ve had from Jan Heine and the rest of technical contributors to that magazine. Riding three identical bicycles with minor variations in multiple experiments really helped me learn more about bicycle geometry and tubing. Alex and a friend working on a cargo bike. Photo from Alex’s blog. People might know your name and your work for a variety of reasons, but the most common one is probably the 650b, all-arounder bike that you built, the Gifford. 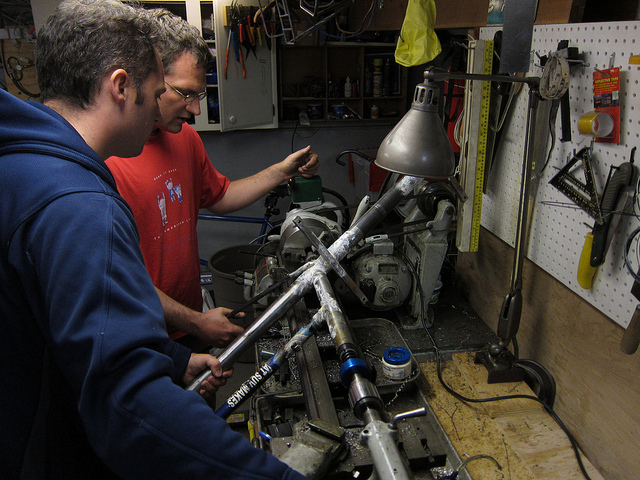 What sparked your interest in framebuilding and how did you learn how to braze? 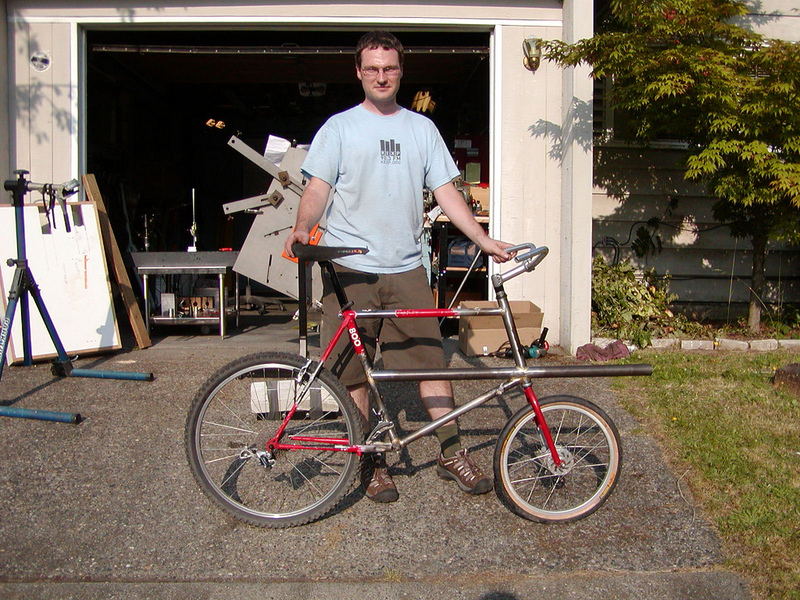 I first learned that one could build a frame with fairly basic tools from my friend Josh Putnam. In 1997 or 1998, he showed me a touring bike that he had built in his garage. I stuffed that idea away in my head for a long time and didn’t think about framebuilding again until 2005 or 2006 when I was first learning about low trail bicycles. I asked Alistair Spence to build a porteur rack for me and asked him if I could visit while he worked on it and learn how he made them. After my first use of his torch I was hooked and came home and bought my own gear. I didn’t plan on making frames at the time, but liked the freedom that the torch gave me to build racks and modify existing bicycles. Alistair and I also became close friends through that encounter and are able to share tools and knowledge with each other as we have learned more about framebuilding. It didn’t take more than a year (and watching Alistair build a frame) before I wanted to try it on my own. My first bike was a cycle truck (cargo bike) that used the rear triangle from a mountain bike. It felt great to ride something around that I had made and that followed my original vision. I also found the process of framebuilding very relaxing and a nice contrast to my day job (where I’m mostly in meetings or sitting behind a computer). Gifford was my first full frame, and my second framebuilding project. I had been trying to figure out the ideal “do it all” bicycle for almost 10 years and finally knew that it wasn’t something that I could buy off of the shelf. Gifford wasn’t a new invention, it was just a bicycle where I could take the tubing that I liked from my Bridgestone XO-1, the geometry that I liked from my Kogswell Porteur, the EBB that I wanted for a Rohloff hub, and the tire clearance from a Rawland dSogn and put it all together into one bicycle. I made an important decision early on that I would spend my money on machine tools (a milling machine and a lathe) instead of on framebuilding fixtures. The cost was similar, but I’ve been able to use my machine tools to make my own fixtures. I’ve really enjoyed that distraction, even though it slowed down my progress on actually producing bicycle frames. Gifford. Photo from Alex’s blog. Rawland’s new rSogn is damn close to a production version of the Gifford. How does it feel to have a company use your design as the basis for their work? Did you have much input in the rSogn’s design? I was one of many blog readers who commented heavily on the design and tried to get their voices heard. I think my biggest influence was getting the rSogn changed to a low trail bicycle, which I did by re-raking a spare Rawland fork that I had sitting around and mailing it back to Sean for him to try out. He certainly didn’t listen to all of my input. The top tube on the production bike is quite short and the tubing is lighter than I’d have spec’d. Both of those decisions were made because other members of the community asked for them. I think it is a very exciting bicycle though and I’m happy to point people to check out the rSogn when they ask me about Gifford. I hope that it is a big success for Rawland and Sean. You recently made a small inroad into the bike business world with your frame and fork alignment tools (which are selling like hotcakes apparently). Any plans on making the jump from hobbyist framebuilder to professional? I never expected the alignment gauge tool to sell so well. I was excited about my fork fixture kits and made a couple of the alignment tools on request from a friend of mine. I thought I might sell 10 or 15 of them in 6 months, but instead I’ve sold over 40 in 4 weeks. Thankfully interest is slowing down and I can concentrate on other projects. There has also been interest in my fork fixtures, but I want the initial test ones to be used by a few builders before I sell any more of them. I don’t think that I will ever transition into a professional framebuilder or tool maker. I don’t think I can afford to build bicycles full time (it is a job that one does for love of the industry, not the money) and also don’t think that I’m good enough on the small artisan details to be a great framebuilder. I’m happy to keep it a hobby for now. My primary goal in selling the tools and fixture kits is to pay for some of my machine tools, especially the CNC machine. I love having a small machine shop in my basement, but it was also expensive and it is nice to put it to work. My other goal in selling tools is to help offer other hobbyist framebuilders a less expensive route for getting frame and fork fixtures. A hobbyist has different priorities, where cost is the number-one concern and spending some time assembling a kit is not a big deal. The existing framebuilding fixtures are aimed more at professionals and are much nicer than anything that I’ll produce, but at a much higher cost. A typical rough-stuff cycling scene. Photo by Alex. 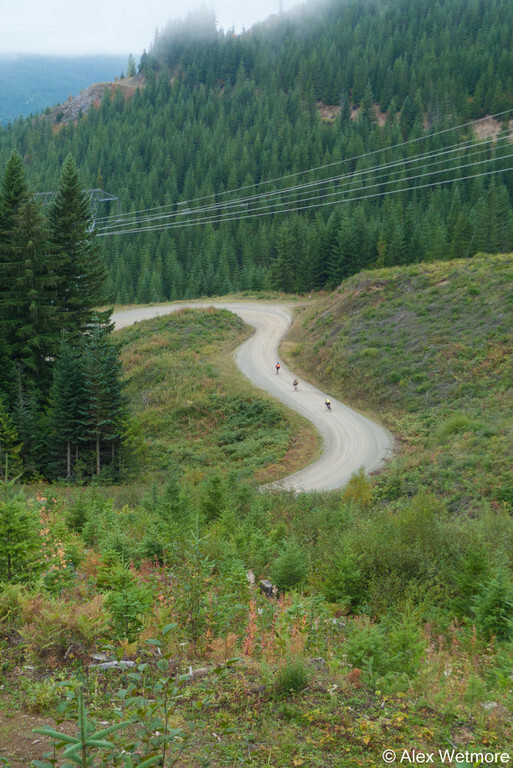 You started a website not too long ago dedicated to “rough stuff” cycling in the Pacific NW. How would you define rough stuff cycling for the uninitiated? Why do you like it so much? For me rough stuff riding is all about using your bicycle to get to remote areas with great scenery and few people. The roads or trails are usually unpaved (hence rough), but the goal isn’t to find technically challenging trails. It isn’t mountain biking because the riding is more aerobic and less technical and doesn’t require or benefit from suspension. I love the scenery that one finds in the mountains, and the challenge of finishing a ride that is long, includes long aerobic climbs, fast descents, and no traffic. I got into it as extension of bicycle touring. I’ve been riding bicycles in remote corners of WA State for over a decade, and after a few week-long tours I discovered that my favorite parts were in the most remote areas and often on logging roads. I started to build my bicycle tours around finding large areas of national forest with interesting sounding scenery and roads. These days it is harder for my friends and I to set aside a week for a bicycle tour, but we’ve gotten better at finding good challenging day rides on similar terrain. We cheat (by using a car to get to the mountains) and spend a day or two riding around in the middle of nowhere looking at amazing scenery, then come home and get back to our regular lives. I created the blog to advocate for the great routes that are available nearby, hopefully to learn about some other routes from contributors, and to provide a “primer” for how to prepare for this sort of riding. I wish that I had more time to dedicate to it. I copied the name from the Rough Stuff Fellowship out of the UK. They’ve been advocating for similar riding for the last 50 years. You’ve built the Gifford, a cycle-truck, forks, racks, a wooden kayak, your own CNC machine, and lots of other stuff I’m sure. In a time when fewer and fewer people have any connection to where their stuff comes from or how it’s made, you’re strikingly self-reliant. Did you ever make a conscious decision that you were going to be able to fix/repair/build the stuff you care about in your life? A small correction, I didn’t build the CNC machine (at least not from scratch). It is a kit assembled from a Taig milling machine and some off the shelf components. It goes back to always being interested in how things work. I just find it fascinating to see how things are made, to understand techniques and skills, and then to practice them myself. I certainly can’t make everything in my life, but I really like being able to make some of the most important items in my life. To me nothing feels better than finishing a long challenging bike ride on a bicycle that I built with my own hands. This entry was posted in Frame Builders, Interviews, Mechanics and tagged alex wetmore, alex wetmore framebuilding tools, gifford bike, hobbyist framebuilding, rawland rsogn, rough stuff cycling. Bookmark the permalink. Nicely written. Alex does interesting things and understands his brand promise: “always busy with something.” I’ve got an old Trek 8xx series bike in the basement. As soon as I get a set of torches, I’m going to replace that overstressed seat binder. They don’t make wheelbases like that anymore.